Wai Lana Little Yogis Daydream CD1.0 ea. Everyone needs to relax... even kids. Daydream is a modern rendition of an ancient yoga relaxation technique that brings a deep sense of calm and inner balance. Whether your children are overactive or simply tired and need to rest, Daydream will help them experience the benefits of yoga's most effective secrets for relaxation. Daydream makes naptime truly restful and something everyone can look forward to-even parents and teachers. Track 1 includes a fun wake-up song so kids can come out of their afternoon nap in good spirits. Track 2 gently fades out with a sweet lullaby to let kids keep resting. 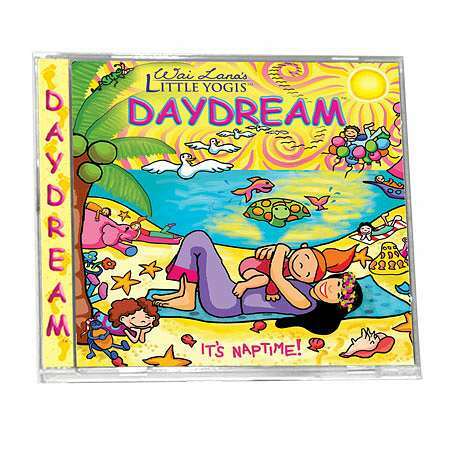 To listen to music samples from the Little Yogis Daydream CD. Psssst... Help your kids-or anyone-awaken from their nap feeling peaceful and relaxed by gently circling your fingertips around the crown of their head.